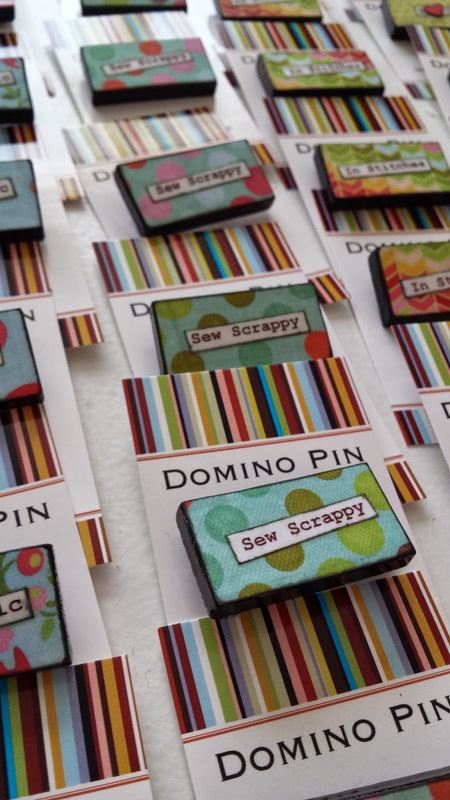 I’ve just shipped another batch of scrappy, quilty pins to Brandy in beautiful BC! *I kid! That’s the best part! Several months ago, I had the opportunity to create a large order of custom domino pins for a friend (and ex-Winnipegger), Brandy Maslowski. I had so much fun creating these pins – especially the special “I ❤ CQT” pins with cut-out red hearts. They were a little more work, but I love, love, love how they turned out.